All lovely models, easy to construct, and fun to paint. 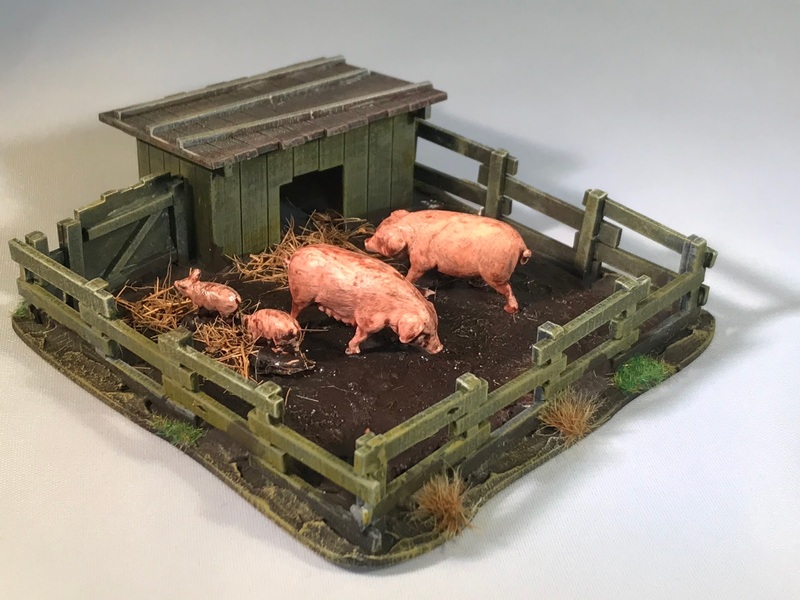 One of the things which attracted me to them was how there are very few lugs on display - most MDF kits have these rather unsightly points where the various bits fit together- These don't- makes them look so much better- I thought it would be more fun to put these together as based village units, to allow a little bit more detailing and customisation. 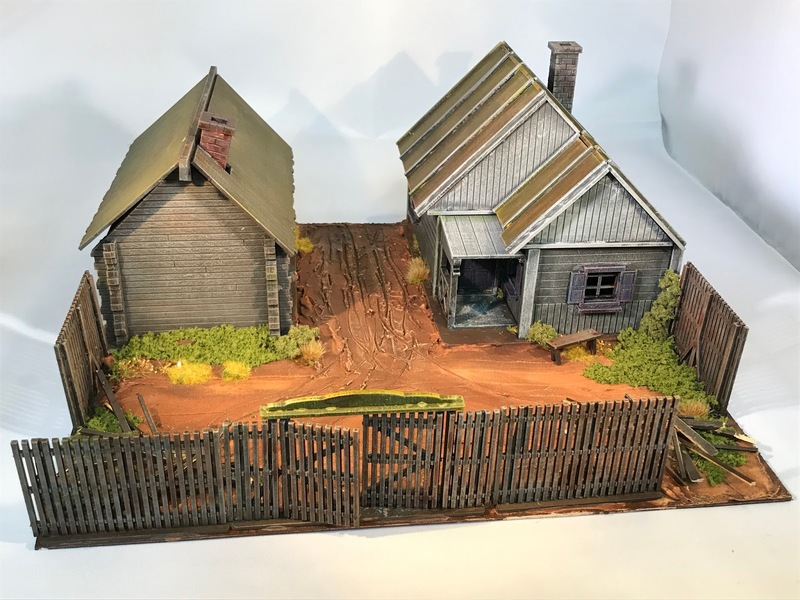 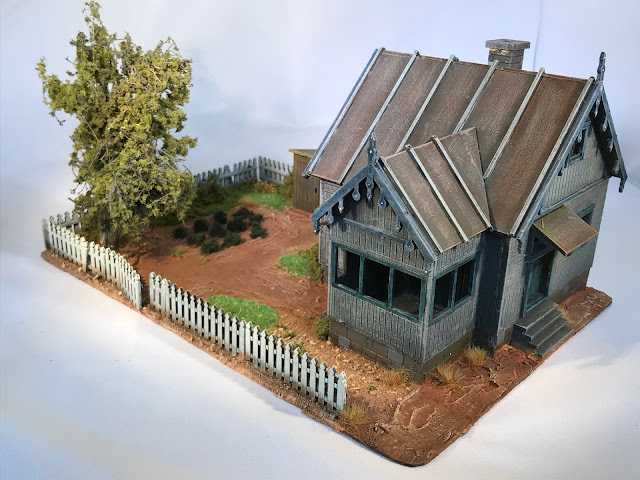 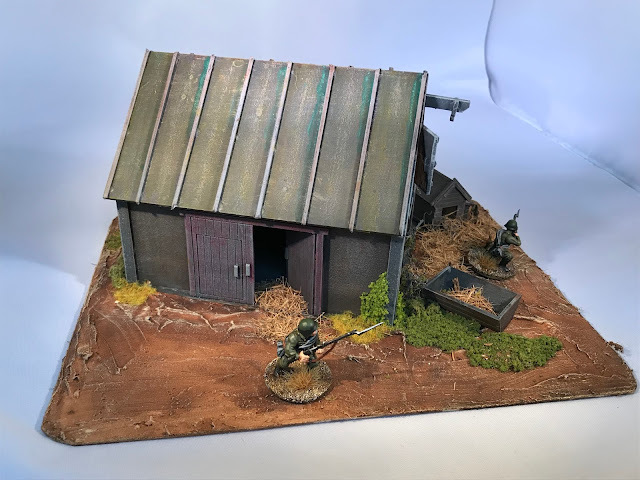 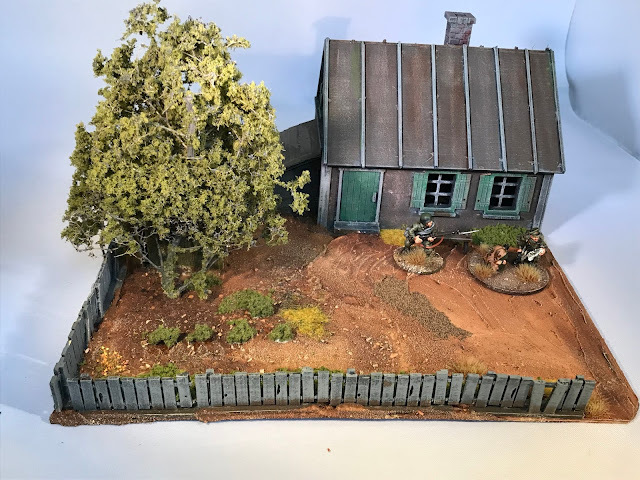 Small cabin, rough fencing- Warlord Russians! Smaller cabin and woodshed by Charlie Foxtrot, Everything else from TFTB. 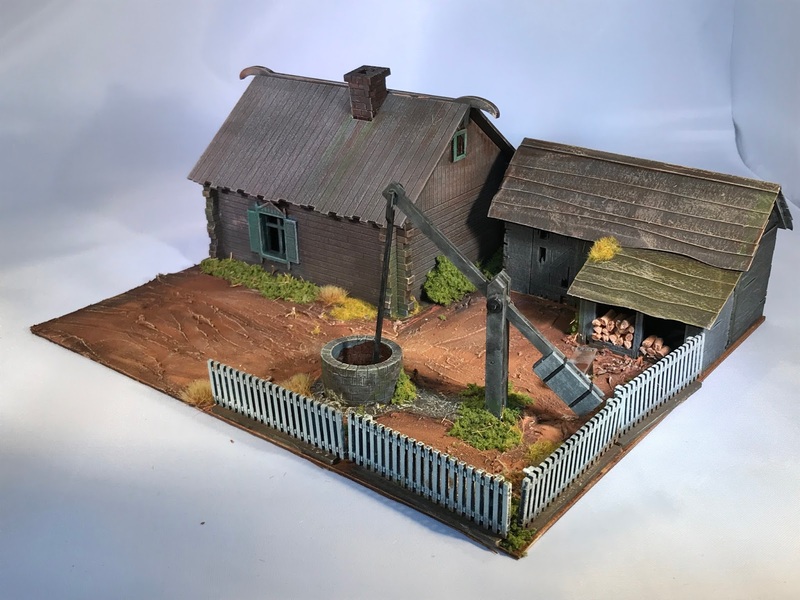 Love the well.